Mo Li Xian Zi 茉莉仙子 means fairy jasmine. It is made by a slim string of jasmine flowers. 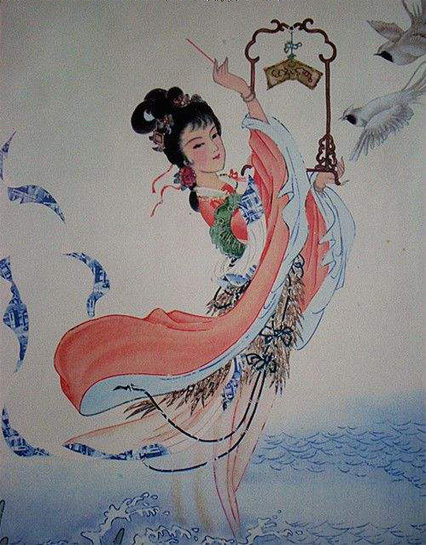 The invention of the blooming tea Mo Li Xina Zi was inspired by the ancient Chinese folk story of Ling Bo Xian Zi (Fairy girl above the wave), who was transformed from the daffodil flower into a very beautiful girl. She lived in the water and in charge of the water resource of nature. She often danced above the river wave. 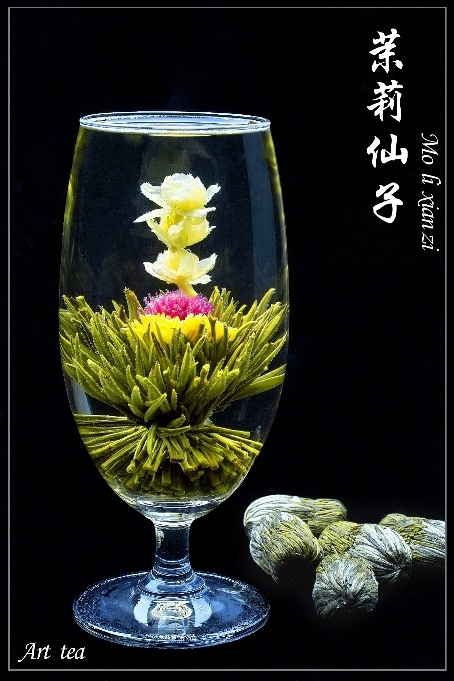 The blooming tea Mo Li Xina Zi use the slim white jasmine flowers to shape the body of the beautiful Ling Bo Xian Zi.